LoadFocus today announced the release of its Google Chrome extension as the newest addition to their testing platform. 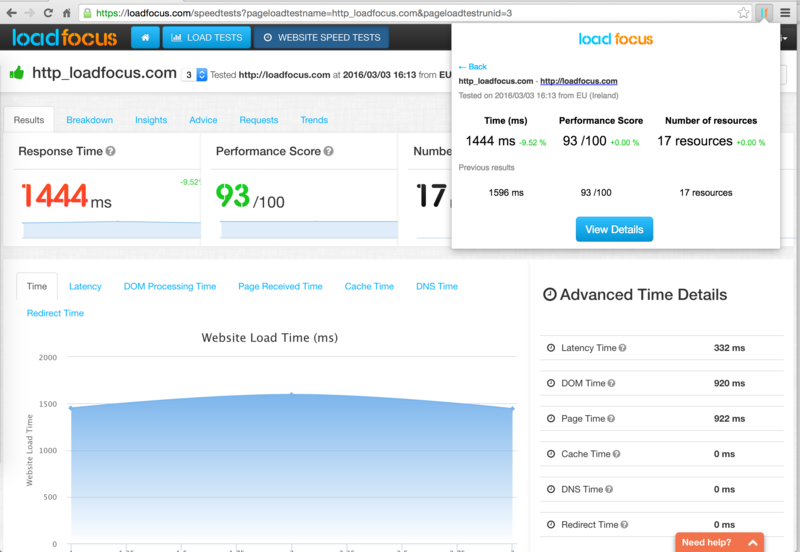 LoadFocus’s Chrome extension allows users to run free website speed tests and see what’s slowing down their websites. They can monitor changes over time for each page and get advice on how to reduce page load times, see also our article on how to boost speed and improve overall SEO of your website. It’s an easy to use tool which can optimise the performance of your website. No need to install anything to run a page load test, the Website Speed Test Chrome extension will create everything for you automatically. Get the Website Speed Testing Chrome extension today.